Being an athlete is not easy at all. A lot of work should be done so as to keep your body in excellent condition and your skill at the highest level possible. However, injury is just looming around the corner. It is always a possibility, even for the best athletes all around the world. Being injured in training or in competition is a reality that all athletes face every day. One of the most common injuries that can be obtained by athletes and sports enthusiasts is back pain. 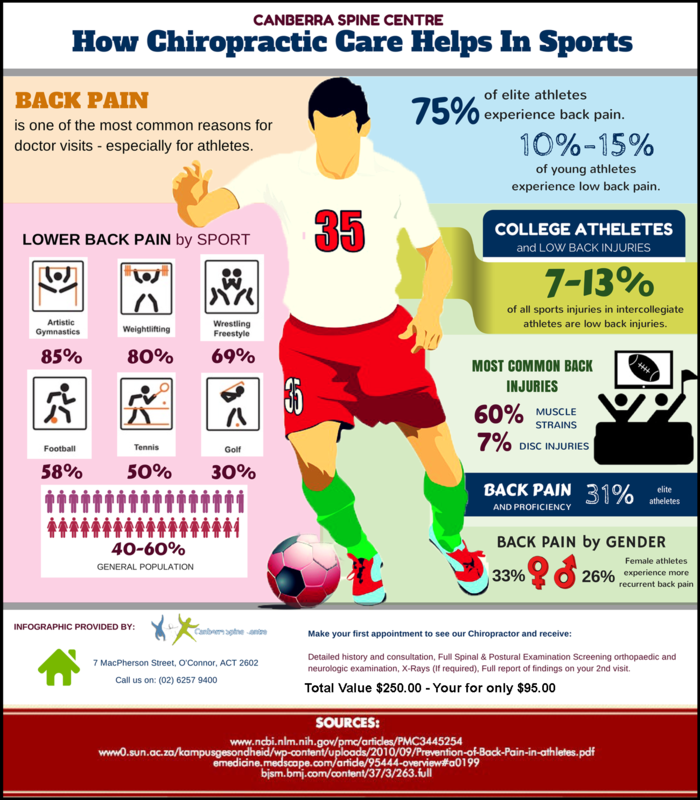 Good thing is, back pain, and other sports-related aches and injuries can be prevented through a safe and natural manner with the help of your gentle Canberra chiropractor. Chiropractic Care has been established as a safe and effective approach when it comes to helping athletes achieve and maintain their prime form. Enjoy the health benefits that you can gain from living the chiropractic lifestyle today. Here at Canberra Spine Centre, we aim to provide overall wellness care for you and your entire family. Call us on today (02) 6257 9400 or simply book your appointment online.